Manufactured to the same high standards as all of our worktops, our worktop upstands are a great way to disguise the join between your worktops and walls. This beautiful white Quartz Stone worktop upstand creates a statement in any kitchen and has been designed to match our White Quartz Stone Worktops. 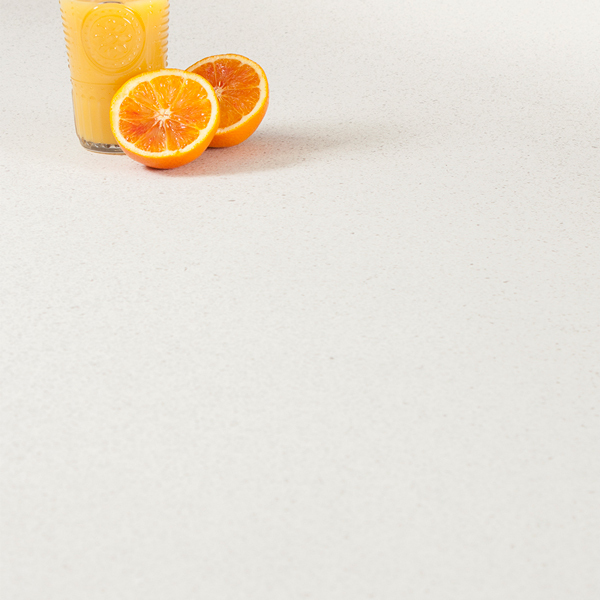 Comprised of a solid fibreboard core with a top layer of decorated laminate applied using heat and pressure to bond, this stone effect work surface upstand is durable and hardwearing. Easy to cut-to-size if necessary, any exposed edges will need to be covered with a White Quartz Worktop Edging Strip to protect this white Quartz Stone laminate worktop upstand from water ingress and damage.